Owning a gyrocopter comes with having to comply to specific rules and regulations. The staff at Wagtail will assist you to obtain these approvals. 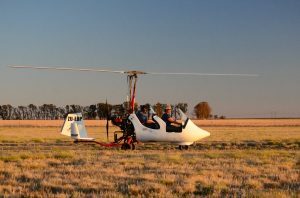 Third-party insurance is compulsory when owning a gyrocopter, so at this stage you will have to acquire at least third-party insurance and optional full insurance. Wagtail will guide and advice you on options. Original forms from Wagtail is required to the following bodies, SACAA, RAASA & AEROCLUB. Thus, there will be additional charges from Wagtail for administration and courier fees which new gyrocopter owner will be responsible for. The costs for each of the approvals or licenses to the different bodies will also be invoice separately for payment by the gyrocopter owner. Some of these approvals must be done annually. Wagtail can provide the service of assisting you to do the annually applications on your behalf at the different bodies.